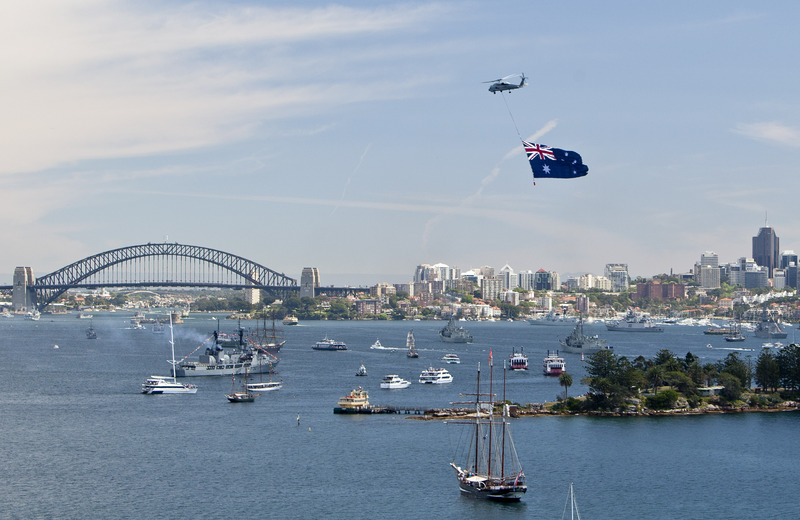 On Oct. 4, 2013, the Royal Australian Navy commemorated the centenary of the first entry of its fleet into Sydney Harbour on 4 October 1913 with an International Fleet Review (IFR), the nation’s most significant commemorative naval event in the past 100 years. 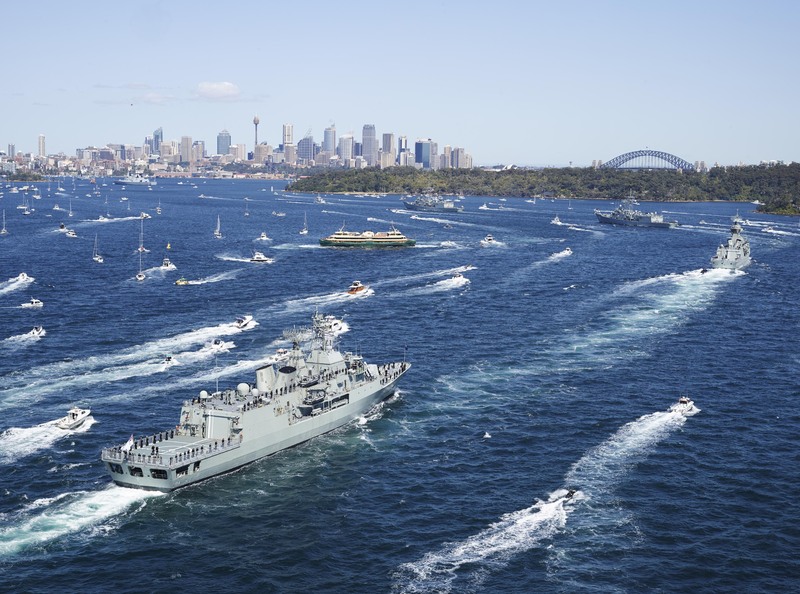 The IFR not only saw the attendance of 37 warships, but also a “Salute to Navy” helicopter air difsplay, with Australian naval and military aircraft, supported by types operating with civil emergency services and heritage types, an air display involving Royal Australian Navy (RAN) helicopters, Royal Australian Air Force fixed wing aircraft, Australian Army helicopters as well as aircraft from visiting nations. Here below a couple of images of the flypasts. 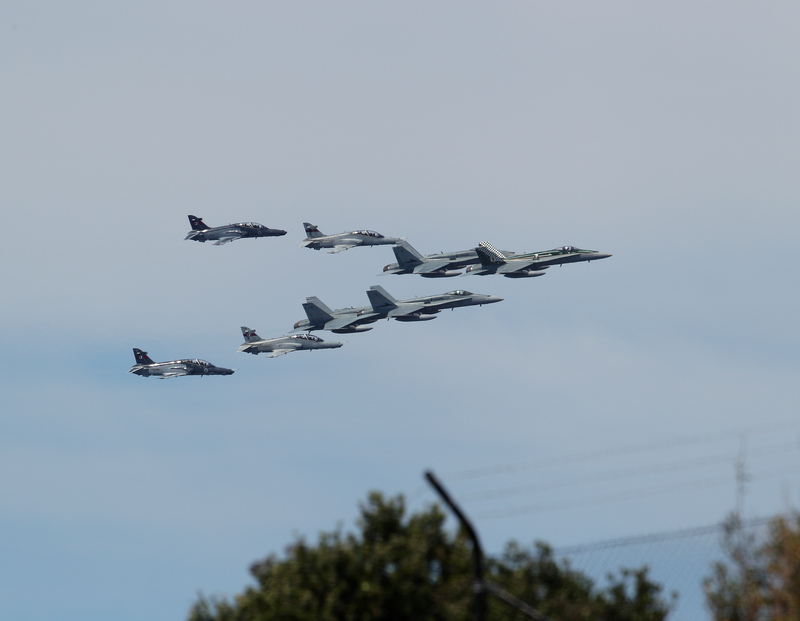 The first one shows the formation of eight aircraft of the RAAF (including Hornets and Hawks). 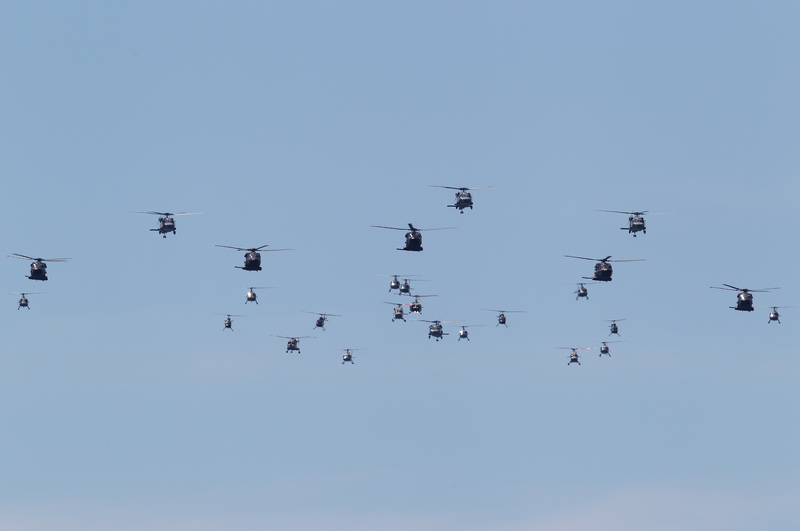 The second shows the massive helicopter formation made of 25 choppers. 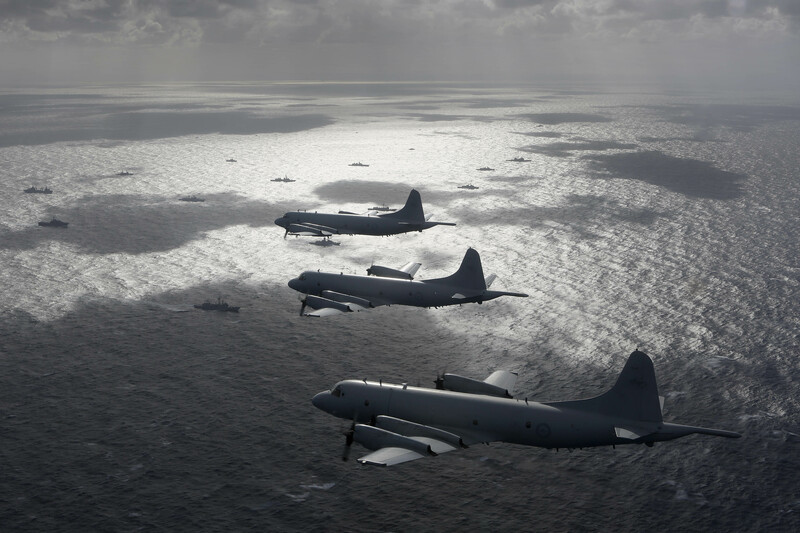 Among the aircraft involved in the flyovers, three AP-3C Orion Maritime Patrol Aircraft from RAAF base Edinburgh’s No. 92 Wing conducted a practice formation over the multi-national Fleet in the Eastern Australian Exercise Area. As part of the IFR 2013, a Pyrotechnics Display and Lightshow Spectacular featureing fireworks launched from decks of warships in Sydney Harbour took place on Saturday Oct. 5.